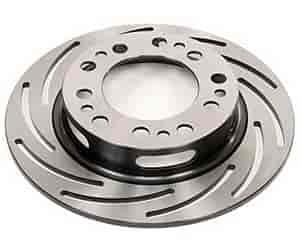 Lightweight Spindle Mount Brake Kits are designed for spindle mount wheels. Kits feature Strange Engineering's single-piston caliper, which employs a unique slider assembly with internal Garlock bearings and sliders to prevent the caliper from binding or sticking (common with other brands). The caliper also has a square pad that slides freely on a centerless ground bridge bolt to prolong pad life.